Back in the mid-1960s, before I had met and married Kelly Hart, he roamed all over the San Francisco Bay Area taking photographs. He was a student at the San Francisco Art Institute, not incidentally to stay out of the military during the Vietnam War. Then in 2012, he compiled many of the pictures into a book. 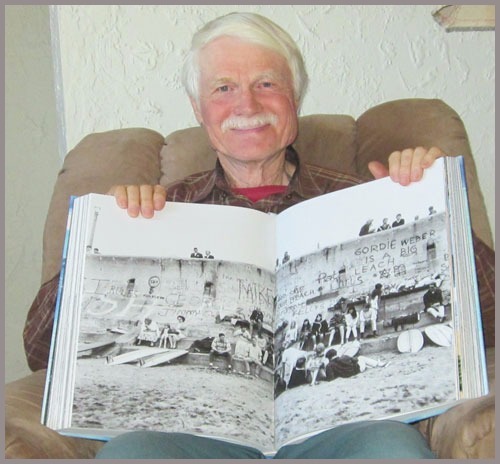 The earlier part of the book contains black-and-white photos documenting life around the area. 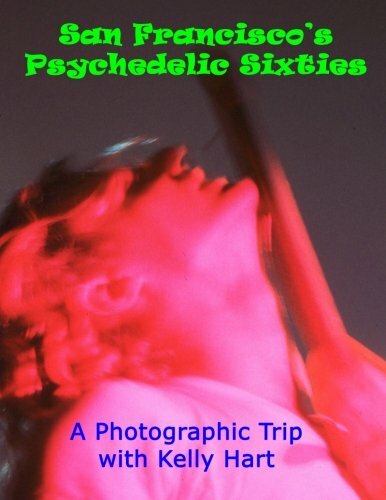 The second part is more like the cover: full-color photos reflecting the exploration of consciousness that was going on. One of the black-and-white photographs was at the beach in San Francisco. It was taken with a 5×7 camera on a tripod and showed people sitting around, surfboards, and graffiti on a wall behind the beach. There is a lot of detail in the scene. Well, about a year ago, Kelly was contacted by Taschen, a publishing company that does spectacular high-end art books. They were working on a book about surfing and wanted to use that beach photo. Kelly accepted their offer of some pay and a copy of the book. Recently, the book arrived, all sixteen pounds of it! 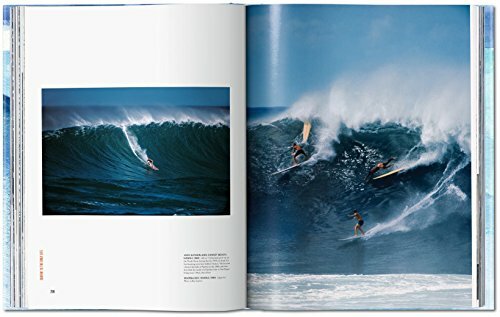 It’s got to be one of the best surfing books ever published, probably the very best. 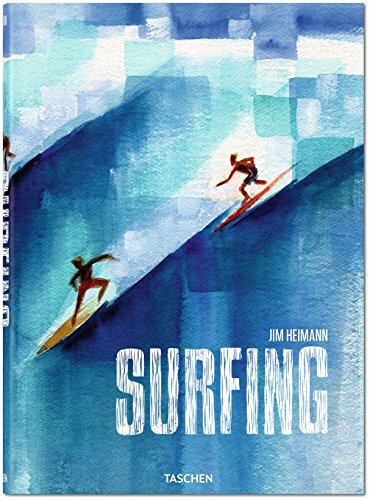 It covers the history of surfing from 1778 to 2015, in English, German, and French. 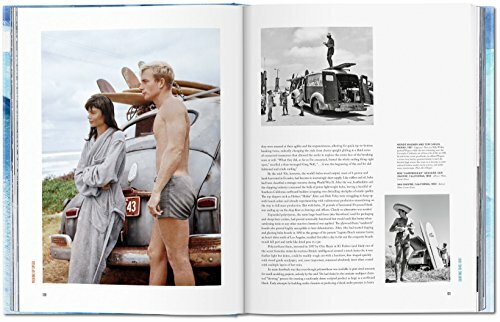 We have never surfed but we enjoyed the close to 900 photographs and works of art in this massive book and we dipped into the text here and there. It was edited by Jim Heimann, a cultural anthropologist, graphic design historian, and author of many books. What a meticulous labor of love! What fun! But don’t imagine us pulling Surfing: 1778-2015 out well into our later years to show it off… we have a nephew who is a serious surfer in California so after a while we sent it on to him.